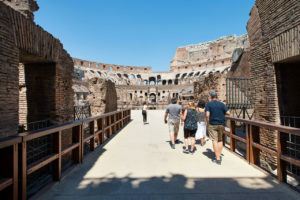 Visit the off limit undergrounds and arena floor of the Colosseum and jump in the past, experience ancient roman stories, discover the gladiator’s life and games.You will step in the Arena and the Underground tunnels with our expert guide in a small group. Fast track access to the Colosseum through the Gladiators’ Gate. If you book our Vip Dungeons and Arena Colosseum Tour you will gain a special access to the restricted areas of the Colosseum. They are usually closed to the general public. You will have a once in a lifetime experience, visiting the Arena where Gladiators used to fight each other during their combats. You will tour also inside the Undergrounds tunnels of the Colosseum, where ancient romans kept cages with wild animals before the show, now a days you will see the reconstructed lift and cage. In the past times, early in the morning, romans brought animals in the Colosseum for the “Venationes” where the Bestiari Gladiators fought against them to death. They were social events considered a way of entertainment that involved both the people and the Emperor. Actually people were amused by watching the fights happening in the arena between men; sometimes these events became more “hunts” than fights as fierce animals intervened on the stage. The Dungeon tour is a fast track entrance and you will access to the Colosseum from the Gladiator’s Gate (public with general tickets are not allowed to access from this special gate); you will have a quick access and step in the center of the Arena Floor. Be ready for your camera and enjoy our guide who will use pictures and reconstructed images to bring Ancient Rome back to life. From the Arena you will descend down to the Dungeons level where you will be the only group enjoying the view of this spectacular area discovered just few centuries ago by the archaeologist. It will be like walking in the footsteps of the Gladiators! After the end of the visit to the restricted areas, you will continue your tour to the other areas of the Colosseum. 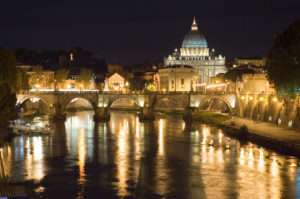 Finally, you will reach the Roman Forum, where ancient temples still stand in all their splendour. 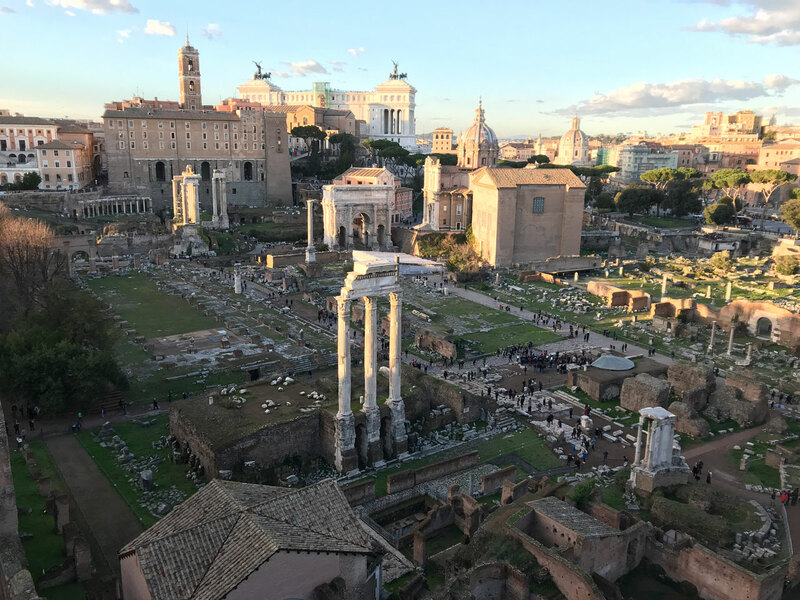 Last stop of your tour will be the Palatine hill, where Romulus founded the eternal city and where Roman Emperors built their main residences . 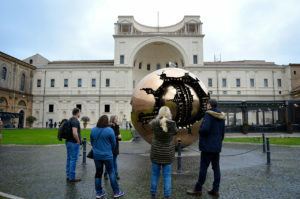 You will tour in a small group of no more than 24 people with an English-speaking friendly guide at your disposal. Fast Track skip the line tickets for the Colosseum and Roman Forum. So no waiting in line! You will have an English-speaking friendly guide who will tour with your small group of no more than 24 people and will be glad to answer all your questions. To reach our office take the metro line B and get off at Cavour station. If you take the exit with the stairs you will be on Via Cavour. Walking down on Via Cavour, after a few minutes you need to turn left on Via degli Annabaldi. Still a few minutes walking and the first alley on you right end side is your destination: Via Frangipane 30.